THIRTY YEARS WAR: (1618–48). The series of religious and political wars fought out in Central Europe in the 17th ﻿cent.﻿ Foremost among its manifold causes were the decay of the Holy Roman Empire and the continued religious unrest after the Peace of Augsburg in 1555. The war began with the revolt of the Bohemians against the Emperor, and the ‘Defenestration of Prague’. The first part of the war (1618–23) was carried on chiefly in Bohemia and the Palatinate. The Bohemians, who had set up Frederick V of the Palatinate, the so-called ‘Winter King’, in opposition to ﻿Emp.﻿ Ferdinand II, were defeated in the Battle at the White Hill (1620) by the armies of the Catholic League under the Imperial general, Tilly, and Maximilian of Bavaria. Frederick was put to the ban of the Empire, Maximilian conquered the Upper Palatinate, and this stage of the war ended with the capture of the Calvinistic stronghold of Heidelberg by Tilly (1622) and the restoration of Catholicism in the conquered territories. War broke out anew in 1623. Shifting to Lower Saxony, it was conducted with Dutch and English support, with Wallenstein as the chief leader on the Imperial side. After his victory, in 1626, over Ernest of Mansfeld, and Christian IV of Denmark’s defeat at the hands of Tilly (1626), the Peace of Lübeck was concluded in 1629. In the same year the Emperor issued the Edict of Restitution which ordered the restoration of all ecclesiastical property unlawfully appropriated by the Protestants since 1552. Its strict execution roused much opposition among the Protestants, while many Catholics were alienated from the Emperor by the extravagances of Wallenstein’s army. In 1630 Wallenstein himself was dismissed. The third stage of the war, which now became a European conflict, began with the landing of Gustavus Adolphus in Pomerania in 1630. 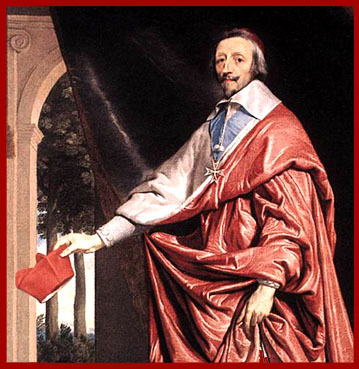 Encouraged by Cardinal A. J. du P. Richelieu, whose anti-Habsburg policy led him to support all opponents of the Imperial power at Vienna, the Swedish invasion was a mainly political adventure, though it incidentally saved German Protestantism. In 1631 Tilly conquered Magdeburg, but he was defeated in the same year at Breitenfeld and killed in 1632. Wallenstein, who had been recalled by the Emperor, was defeated in the battle at Lützen, but Gustavus Adolphus himself was killed (1632). The next two years were taken up with negotiations, while the Protestant leader, Bernard of Weimar, took Ratisbon and laid waste Bavaria without opposition from Wallenstein, who was murdered in 1634. In the same year Imperial and Bavarian troops gained a decisive victory at Nördlingen, which led to the treaty of Prague (1635) between the Emperor and the majority of the Protestant estates. The Swedes, however, continuing to resist, were now openly joined by France and the war entered on its final and most violent stage (1635–48). After years of fighting with varying success in E. and W. Germany, the French position became increasingly advantageous, esp. owing to the weakening of Spain by internal discord. The demand for peace in Germany grew increasingly insistent and in 1644 negotiations were opened with the French at Münster and with Sweden at Osnabrück, and the Peace of Westphalia (﻿q.v.﻿) was at last concluded in 1648. As a result the ecclesiastical state of the Empire as it was in 1624 was restored, except for the secularization—a term then used for the first time—of a considerable part of ecclesiastical property, which was distributed among the several powers as compensation for their participation in the war. The decrees of the Religious Peace of Augsburg were reinforced and extended to the Calvinists, and Catholics and Protestants given equal political rights. Among the chief effects of the Thirty Years War was an enormous strengthening of the power of France. The corresponding weakening of Germany and Spain hastened the final breaking-up of the Empire and decided the future of Europe in succeeding centuries. The religious, moral, and economic anarchy which it produced in Central Europe had the same far-reaching consequences, and accounts for much in the subsequent religious and social developments on the Continent.